I’ve mentioned a thousand couple of times how excited I am about going to Bloggy Bootcamp in Atlanta in October but have I told you that I’m also now registered for my second blog conference?! That’s right! I’m registered for Type-A Parent Conference 2012! The conference isn’t until next June but I got a steal on the ticket thanks to Super-Early Bird pricing! The best part is the location! Just an hour away from the lovely place I call home! So to get ready for all of the bloggy fun in my future, I thought I would share some of my favorite blog resources. Since I’ve been in the blogging world for 4 years now, I have developed a love for quite a few but I will start with 3 in this post! 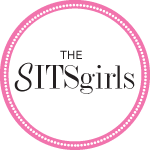 1 – The SITS Girls – Seriously, you NEED to be a part of this group. It is a great resource for blogging support and encouragement. One of the many awesome things that they do is the Featured Blogger channel where every day they highlight a different blogger! They share some background information and invite everyone over to your blog for a day to party! It is a great way to discover new bloggers as well as share some comment love! My SITS day was life-changing! They also routinely doing series, like leading a 31 Days to Build A Better Blog group challenge or their new Monthly Photo Challenge, to help each of us become better writers and bloggers. Of course, I can’t leave out Bloggy Bootcamp! And currently, when you like their Facebook page, you get a free copy of their e-book Top 10 Secrets to Blogging Success! 2 – Blog Clarity – I started following Melissa, a fellow NC’er, on her personal blog Adventuroo & completely fell in love (yes I totally have a social media crush!). She started doing weekly posts where she would highlight blog tips and other social media advice before launching Blog Clarity! If you need blogging, writing, or other social media advice, look no further! She hosts a weekly series where bloggers can submit their sites for a Blog Critique (happens on Wednesdays) and she gives you an honest opinion of things that you can do to improve your blog, including design, functionality, and content. You can click here to see mine! She also recently wrapped up a series on Blogger Business Card Design that was extremely helpful as we are in the thick of blog conference season! 3 – Eli Rose Social Media – These are some completely amazing ladies! If you are looking for the most recent news in social media, these are the ladies you need to find! In my attempts to understand Klout, they have offered several posts to help bloggers understand why Klout is important and how it is calculated. They even helped me understand why Klout thinks I’m influential in pirates! In addition to their helpful posts, they also offer services for both bloggers and businesses. They offer both 25 Point Blog Assessments as well as Personal Strategy sessions, both of which I have utilized and I will say it could easily be the best money I have spent in blogging. These are just 3 of my many favorite resources! There will be more to come! Have you used any of these 3 resources? What sites would you add to the list? Thank you for your kind, kind words! It really means a lot! Thanks girl for the super shout out! Truly means a lot. AND guess what? We get to meet at BBC! I can’t wait to see you there! I am so looking forward it it!!!! Thanks for the resource tips. I’m already in SITS and have been to a bloggy boot camp. will check the others. Just stopped by from SITS to say hello. Hope you find time to do the same. Off to pay your blog a visit! Thanks for stopping by! Thanks for the info! I’m actually visiting you from SITS! Thanks for visiting! Hope you find the resources helpful! Thanks for the tips. I’ve been only blogging for 6 months and now am trying to expand my blog circle. I think I will look into those. Great list! I love all these resources as well. I’ve been blogging for awhile but I still learn a lot every time I visit. Thanks for stopping by! I feel like I’ve been around awhile too but the Summer Blog Social is teaching me so much & I’m learning about resources that I never knew existed! Love posts that link to other fun places so I don’t have to do the work…good job! I’ve heard of SITS, but not joined. I must check it out again. Adventureroo is good stuff and I completely forgot about MomComm. As a NC girl, I must go check it out. Yay! A fellow NC gal! Melissa from Adventuroo/MomComm is totally my blog crush! Thanks for stopping by! Love these resources! One of my goals this year is to be more involved with communities like SITS and BlogHer. Great Info! I’m not too active at BlogHer (need to work on that) but SITS has been a lifesaver! They’ve got some great education events coming up this fall so it will be the perfect time to get involved! Thanks for stopping by! Klout thinks I’m influential in somthing that seems totally weird to me too! I can’t even remember right now. Love these locations – I JUST found Eli Rose (through #summerblogsocial) last night – can’t wait to learn more. I’m happy to have found you – I just subscribed to your GFC. I love Eli Rose! Paying for the blog critique & personal assessment was easily some of the best money I have spent on my blog! Thanks for following! Hope to chat with you more! I am so excited to be meeting new people through the Summer Blog Social! I do love SITS…I really need to be more involved over there! It’s so fun to get involved, and those are three sites I’ve heard great things about! SITS has some awesome education programs coming up this fall that you will definitely want to check out! Thanks for stopping by! Greetings from South Carolina! I learned a lot from my Eli/Rose review too. I’m only about 5 miles from the SC border! I have only heard awesome things from bloggers who have done the Eli Rose reviews! They are such great gals! These are all some of my favorite resources too! I haven’t spent too much time on SITS, but I’ve heard several others say what a positive impact their SITS day has had on them. I need to sign up! Definitely sign up to be featured! Your own SITS Day is life-changing! They’ve got some good education events coming up so its a great time to join in! Such great resources and you’re 100% right- how amazing would it be to know about these wonderful ladies at the beginning?! Great list! I’d never heard of momcomm before – sounds like a great help. Thanks so much for the information! Glad you found the info helpful! MomComm is amazing! I have already checked out EliRose and SITS. Going to have to check out momcomm. My blog assessment was definitely the best money I could spend. I thought I was doing so much wrong and then found out a lot of it was right! I thought the same thing! I was totally prepared for pages of criticism but I am so glad that they also took the time to affirm what I was doing right! I too am going to BBC Atlanta!!! Cant wait for it, either! I love SITS and am just now beginning to explore Eli Rose. I hadnt heard of MomComm but I am definitely going to check it out! Thanks for the great tips! Glad I found you through #summerblogsocial Im a new follower! I love love love MomComm & EliRose. They are both super awesome sites full of information. I haven’t gotten into SITS girls because I’m afraid it would be one more thing for me to not really be involved in, if that makes sense. Baby steps. Definitely ease into it! I think the great thing about SITS is that you can participate in any level that’s comfortable! I’m not as active in the forums or posts as I used to but I still love all the information they have available! It looks like they’ve got some good education classes coming up too for fall!